Penn State alum Ali Krieger is back with the United States women's national soccer team for the first time since the summer of 2017. In a sign that the U.S. women’s soccer team’s World Cup roster is neither fully healthy nor fully settled, veteran right back Ali Krieger has been recalled for the first time since the summer of 2017. The Penn State alum is one of 24 players summoned for friendlies vs. Australia on April 4 in suburban Denver (9 p.m., Fox Sports 1) and Belgium in Los Angeles on April 7 (9 p.m., ESPN2). Starting right back Kelley O’Hara is out due to lingering effects of a right ankle injury that has been bothering her for some time. She is expected to be back for the World Cup. Emily Sonnett is the backup, but she’s a centerback who can can also play wide. Beyond that, though, the pickings in the regular pool are slim. 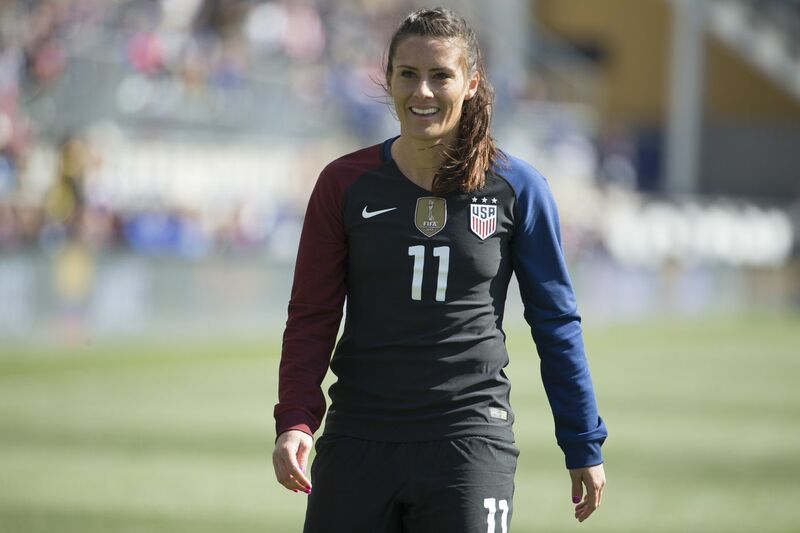 So Krieger, a 34-year-old who has 98 caps - including at the 2015 World Cup - is back for now. These games are the last on the calendar before U.S. coach Jill Ellis names her 23-player World Cup squad in early May. The Australia contest is of particular importance, as it’s the Americans’ last game against a big-time opponent before the tournament kicks off in June. Though Krieger is the headline name, the most important drama is in central midfield. Morgan Brian, who played at the 2015 World Cup and 2016 Olympics, remains out of the picture after falling down the depth chart in recent months. Danielle Colaprico, who rose up last fall, has been dropped. Andi Sullivan and Allie Long are in, and playmaker Lindsey Horan is back after missing the SheBelieves Cup with a quadriceps injury. Sullivan was on the roster for the Americans’ games at France and Spain in January, and the SheBelieves Cup in February and March, but did not play in any of the games. Long played at the 2016 Olympics, but has been mostly a fringe player for the last year and a hal, and a ligament injury last August didn’t help. She took part in a training camp before the SheBelieves Cup, but was not on the tournament squad. Long told the website of her club, the NWSL’s Reign FC, that she was thrilled to get another shot. That Colaprico is out due to a coach’s decision seems to counter Ellis’ remarks on the player’s status when Colaprico missed the SheBelieves Cup due to a groin injury. The 25-year-old native of Freehold Township, N.J., was on the national team’s trips to Europe in November and January, and won her first cap along the way. Unless something changes in the next few weeks, given how little time remains until the World Cup, the odds of a return now seem slim.